School climate surveys lead to improvements. 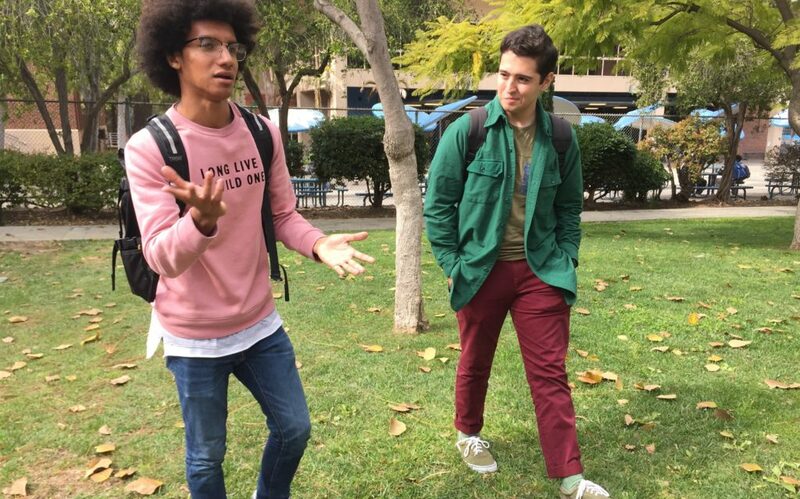 Donovin Miller and Christopher Gonzalez, John Marshall High School students in Los Angeles, discuss a monthly community-building event at the school. When Christopher Gonzalez first entered John Marshall High School in Los Angeles, he noticed that students generally kept to themselves and their own cliques. “It was like a line you didn’t cross,” said Gonzalez, now a senior. The climate began to change more than a year ago: More greetings are exchanged in hallways. Virtually no one sits alone at lunchtime. Students from various cross sections of the school — gamers, artists, dancers, jocks and others — gather together in a small grassy courtyard called “the mound” for a monthly “Hey Day” event. At the event, which Gonzalez helps organize, people sit on blankets and benches nearby, eating lunch and mingling. The Los Angeles Unified School District is one of six so-called CORE (California Office to Reform Education) school districts in California that has been doing districtwide surveys of 4th-to-12th-graders since the 2015-16 school year to measure students’ social and emotional learning — the ability to understand and manage emotions, empathize with people from diverse backgrounds and believe in one’s ability to accomplish tasks and grow intellectually. Those districts also assess school climate and culture to gauge the degree to which students, parents and teachers feel safe and have a sense of belonging. Two other districts that are part of CORE do similar surveys. School climate also is measured in the state’s Healthy Kids survey, which is required every other year for some 7th-, 9th- and 11th-graders. Like California, 24 states across the country are measuring school climate, including 10 that are providing resources to improve social and emotional learning, according to the Learning Policy Institute, a nonprofit education research group. Amid a growing body of research about the role of students’ confidence, environment and other factors in academic achievement, the 2015 Every Student Succeeds Act (ESSA) was designed, in part, to allow schools to go beyond traditional measures of performance. While surveys relating to school climate have been conducted for decades, this is the first time social and emotional learning has been measured at scale, said Heather Hough, executive director of Policy Analysis for California Education, a nonprofit research organization known as PACE. Researchers are starting to gather enough data to quantify links between the social and emotional aspects of students’ education and their academic achievement. Three years of data from California’s CORE districts, which have close to 1 million students, show some broad trends, Hough said. For instance, African-American students reported a significantly lower sense of belonging and safety compared to others at their schools. Across racial and ethnic backgrounds, girls’ sense of self-efficacy, or the belief they can overcome academic challenges, dropped off significantly in middle school. The immediate feedback from the surveys have prompted administrators and teachers across the CORE districts to implement programs that celebrate students’ unique skills and move away from disciplinary approaches that disproportionately affect low-income students and students of color, such as suspensions and expulsions. The goal is to instead build connections with students to explore why the behavior happened, why it was wrong, what damage was done to the community and how it can be fixed, Hough said. The suspension rate at some CORE districts significantly declined in recent years, a trend seen statewide, according to California Department of Education data. Some schools, such as MacArthur Elementary School in Long Beach, also are starting to see improvements in academic achievement. The school is now one of the highest-performing elementary schools among the CORE districts in social and emotional learning, scoring a 10 in all categories after receiving a 4 or 5 on most categories during the 2014-15 school year, according to Christopher Lund, assistant superintendent of Research and School Improvement at Long Beach Unified School District. Four years ago, MacArthur Elementary also earned a dismal score of 2 on “growth mindset,” which is the belief that you can grow your intelligence. “They literally spent three years straight on building improvement in those areas,” Lund said. School administrators and teachers created weekly stories and scenarios to reinforce the concept that like a muscle, one’s mind can grow with hard work and effort and they changed certain grading norms to reflect that concept: allowing students to make up missed work or retake tests. The changes seem to be working. During the last school year, students at the school scored 60 and 54 percent in the English language and math portions of the statewide standardized test called the California Assessment of Student Performance and Progress (CAASPP) — up from 37 and 30 percent, respectively, during the 2014 to 2015 school year. Lund attributes the improvement to changing the culture of the classroom. Similarly, educators at the Fresno Unified School District, the fourth-largest in California, used the survey results “as an important complement to the traditional focus on teacher quality, building effective curriculum and the like,” said Thomas Toch, director of FutureEd, an independent think tank at the Georgetown University McCourt School of Public Policy. Toch and a colleague delved into Fresno’s data and visited schools to compile a report released last month about the district and found that simply administering the surveys led educators to focus on improving classroom culture — even when they wouldn’t be rewarded for their results. In 2013, six of the CORE districts — Fresno, Long Beach, Los Angeles, Oakland, San Francisco and Santa Ana — received a waiver from the U.S. Department of Education from certain requirements under the No Child Left Behind Act. As a result, these districts’ school climate and social and emotional learning measurements factored into their accountability rankings, at least until the waiver expired. “Fresno’s experience suggests that surveys don’t have to be part of accountability systems to be influential,” Toch said. At Thomas Jefferson High School in South Los Angeles, where survey results showed that students had trouble empathizing with others from diverse backgrounds and understanding social and ethical norms, the teachers wanted to be strong role models, so they started standing outside the classroom and greeting every single student, said Susan Ward-Roncalli, LAUSD’s social emotional learning advisor. Survey results at Marshall High School, in the Los Feliz neighborhood, showed work was needed on some areas related to self-management — the ability to regulate one’s emotions, thoughts and behaviors. Every morning, students would do a few minutes of mindfulness activities, such as controlled breathing, focusing and reflecting on what they’re grateful for. “What we discovered is that teachers who at first [questioned] taking two to three minutes of instructional time away gained instructional minutes once they had everyone focused,” Ward-Roncalli said. During Gonzalez’s first two years at Marshall, there were two student suicides — which drove administrators, teachers and students to make changes quickly. Gonzalez joined a social-emotional wellness committee to share resources and help organize events while another student formed a “lunch bunch” group to ensure no one sat alone during meals. Recent survey results indicate improvement. About 73 percent of students surveyed last fall said they’re happy to be at the school and 64 percent said they feel they’re part of the school, according to Principal Gary Garcia. That’s up from 63 percent and 54 percent, respectively, during the 2015-2016 school year, according to LAUSD data. Marshall sophomore Donovin Miller said transitioning to Marshall from middle school was at first intimidating. But during his weekly 20-minute advisory period — a time when some teachers do mindfulness exercises and activities to improve a sense of belonging among students — he got to know some students and is now best friends with two of them. 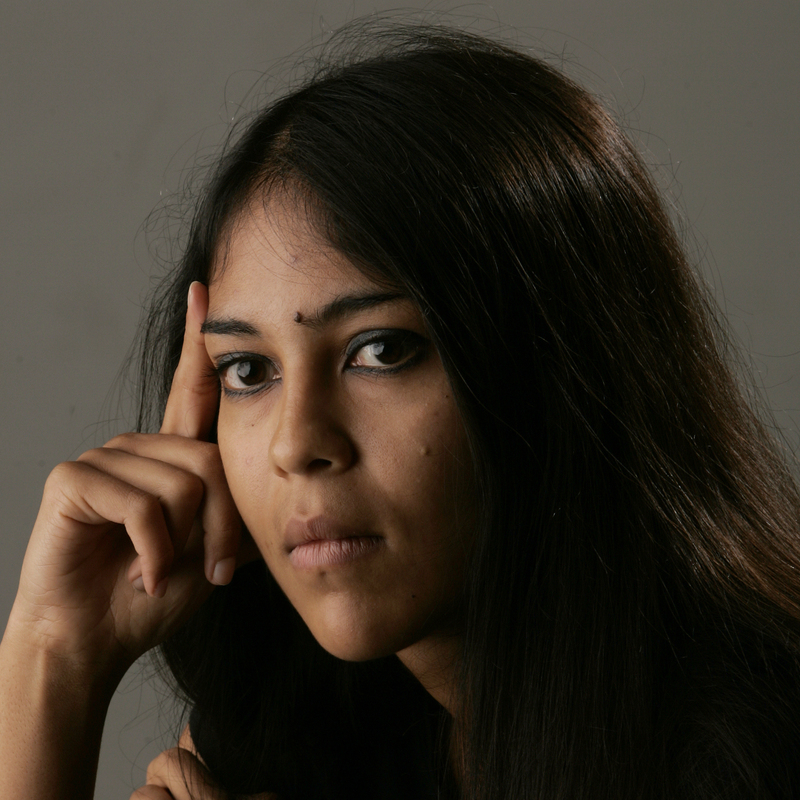 Julie Patel Liss is a freelancer for EdSource and an assistant professor at California State University – Los Angeles.